Calling out all the marvelous women out there! 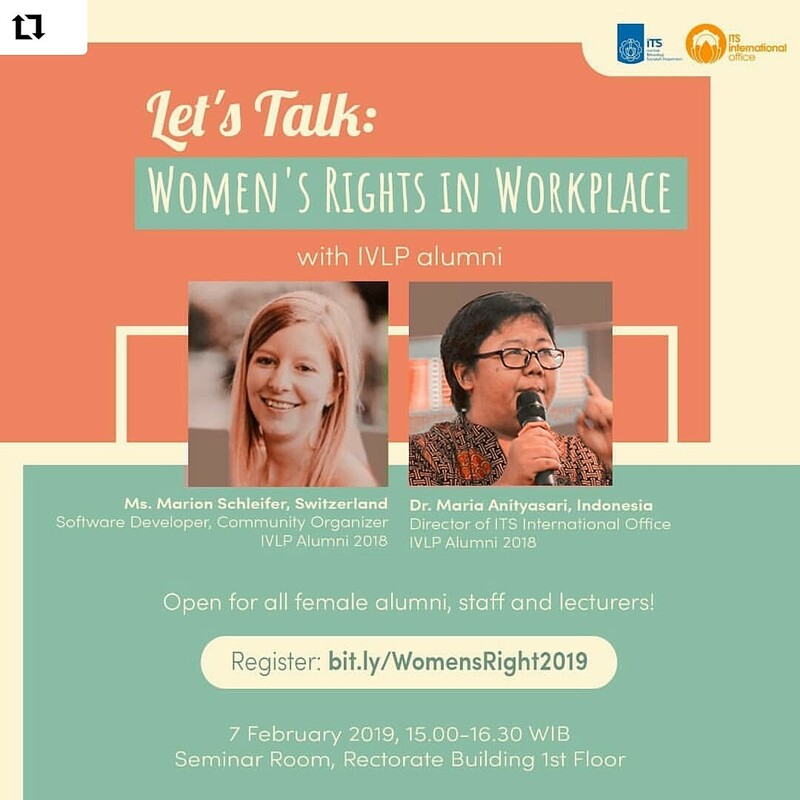 Let’s talk with International Visitor Leadership Program (IVLP) alumni, Ms. Marion Scleifer and Dr. Maria Anityasari about Women’s Rights in Workplace on 7 February 2019 from 15.00 – 16.30 WIB at Seminar Room, Rectorate Building 1st floor. The deadline for the registration is 3 February 2019. It is limited to only 40 persons so register fast!